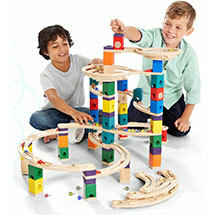 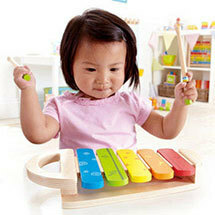 Wooden toys are a great way to stimulate learning, play and imagination in young children. 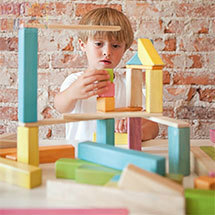 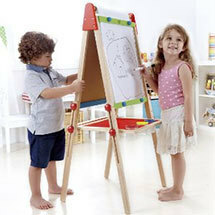 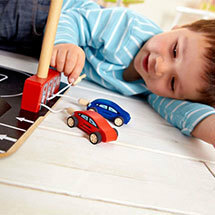 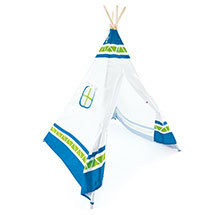 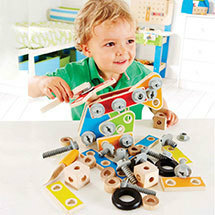 Typically wooden toys do not entertain, but they engage and afford the opportunity for open ended and imaginative play. 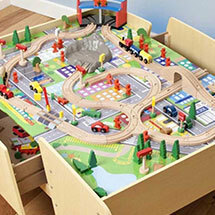 We stock various types of wooden toys, such as wooden blocks and construction sets, musical toys, wooden toy kitchens, dollhouses, train tables and much more.